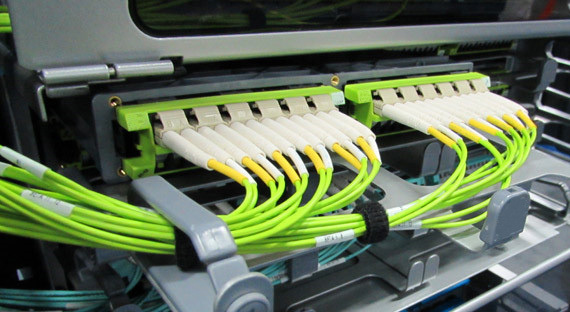 The acceptance of this standard is a milestone for the fiber cabling performance category because it extends the benefits of this revolutionary multimode fiber within connected buildings and data centers worldwide. Compared with OM3 and OM4, which are suitable for transmission in the range of 850nm wavelength, the new optical cabling class OM5 can operate within a range of 850nm to 950nm, thus increasing the performance and the quality of connectivity in your data center. 1. Excellent performance and quality of connectivity for your data center. 2. Higher range and transmission speed through SWDM technology. 3. Transmission rate up to 100 Gbit/s with only 2 fibers (instead of 8 fibers). 4. OM5 cabling supports all legacy applications and is fully compatible with OM3 and OM4 cabling.